Register • Olympus Cove subdivision designed by Cliff May nominated for honor. 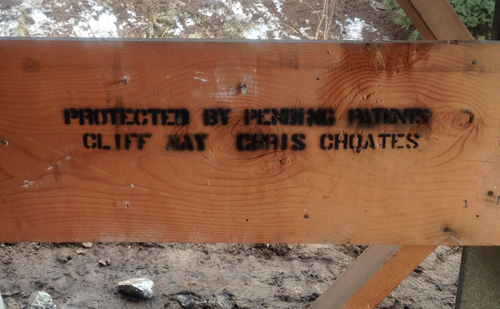 Photo provided by Steven Smith Writing identifying the original construction as a Cliff May home, exposed during the remodel of the home of Stephen and Jo Smith in Salt Lake County. The county is re-establishing a Historic Preservation Commission for the unincorporated areas, and one of its first projects is to get a lower Olympus Cove neighborhood onto the Historic Register because it was designed by Cliff May, the "father of the California ranch house" that provided affordable housing in the post-World War II era. Courtesy photo of Steven Smith One of the courtyards of the Cliff May-designed home of Stephen and Jo Smith in Salt Lake County. The county is re-establishing a Historic Preservation Commission for the unincorporated areas, and one of its first projects is to get a lower Olympus Cove neighborhood onto the Historic Register because it was designed by Cliff May, the "father of the California ranch house" that provided affordable housing in the post-World War II era. 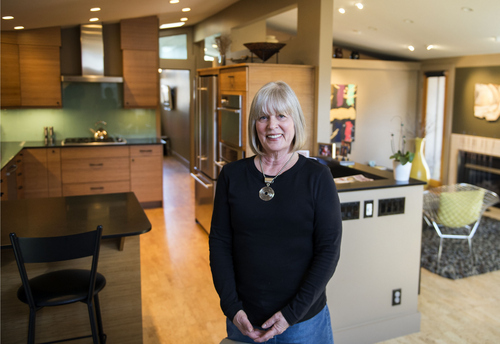 Keith Johnson | The Salt Lake Tribune Missy Cannell in the redesigned front room and kitchen of her Cliff May-designed home in Salt Lake County, March 12, 2014.The county is re-establishing a Historic Preservation Commission for the unincorporated areas, and one of its first projects is to get a lower Olympus Cove neighborhood onto the Historic Register because it was designed by Cliff May, the "father of the California ranch house" that provided affordable housing in the post-World War II era. 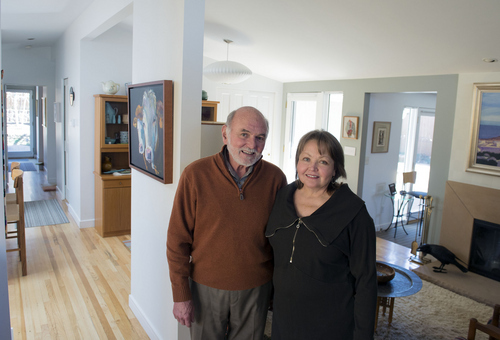 Keith Johnson | The Salt Lake Tribune Stephen and Jo Smith in the front room of the Cliff May-designed home in Salt Lake County, March 12, 2014. The county is re-establishing a Historic Preservation Commission for the unincorporated areas, and one of its first projects is to get a lower Olympus Cove neighborhood onto the Historic Register because it was designed by Cliff May, the "father of the California ranch house" that provided affordable housing in the post-World War II era. 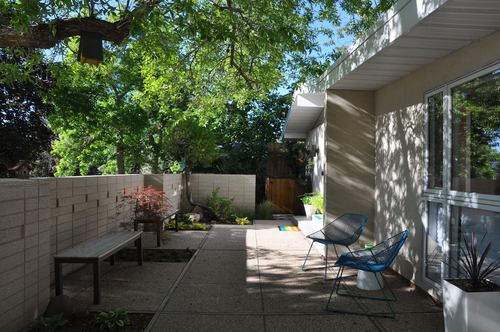 Courtesy photo of Steven Smith One of the courtyards of the Cliff May-designed home of Stephen and Jo Smith in Salt Lake County. The county is re-establishing a Historic Preservation Commission for the unincorporated areas, and one of its first projects is to get a lower Olympus Cove neighborhood onto the Historic Register because it was designed by Cliff May, the "father of the California ranch house" that provided affordable housing in the post-World War II era. Keith Johnson | The Salt Lake Tribune The exterior of a Cliff May-designed home in Salt Lake County, March 12, 2014. The county is re-establishing a Historic Preservation Commission for the unincorporated areas, and one of its first projects is to get a lower Olympus Cove neighborhood onto the Historic Register because it was designed by Cliff May, the "father of the California ranch house" that provided affordable housing in the post-World War II era. 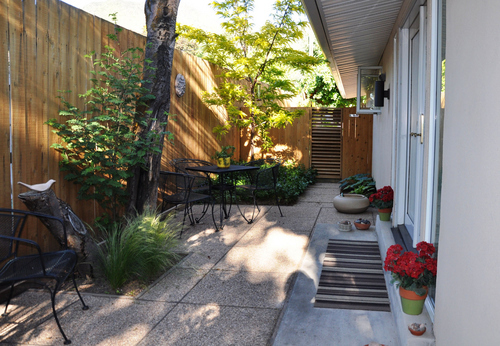 Courtesy photo of Steven Smith One of the courtyards of the Cliff May-designed home of Stephen and Jo Smith in Salt Lake County. The county is re-establishing a Historic Preservation Commission for the unincorporated areas, and one of its first projects is to get a lower Olympus Cove neighborhood onto the Historic Register because it was designed by Cliff May, the "father of the California ranch house" that provided affordable housing in the post-World War II era. Keith Johnson | The Salt Lake Tribune The front room, with views of a game room to the left and the dining area to the right, of the Cliff May-designed home of Stephen and Jo Smith in Salt Lake County, March 12, 2014. The county is re-establishing a Historic Preservation Commission for the unincorporated areas, and one of its first projects is to get a lower Olympus Cove neighborhood onto the Historic Register because it was designed by Cliff May, the "father of the California ranch house" that provided affordable housing in the post-World War II era. Keith Johnson | The Salt Lake Tribune The exterior of a Cliff May-designed home in Salt Lake County. The county is re-establishing a Historic Preservation Commission for the unincorporated areas, and one of its first projects is to get a lower Olympus Cove neighborhood onto the Historic Register because it was designed by Cliff May, the "father of the California ranch house" that provided affordable housing in the post-World War II era. Keith Johnson | The Salt Lake Tribune The exterior of a Cliff May-designed home in Salt Lake County, March 12, 2014. The county is re-establishing a Historic Preservation Commission for the unincorporated areas, and one of its first projects is to get a lower Olympus Cove neighborhood onto the Historic Register because it was designed by Cliff May, the "father of the California ranch house" that provided affordable housing in the post-World War II era. 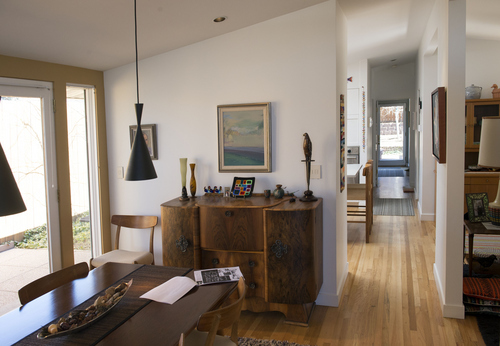 Keith Johnson | The Salt Lake Tribune The entry way, looking toward the dining area, of the Cliff May-designed home of Stephen and Jo Smith in Salt Lake County, March 12, 2014. 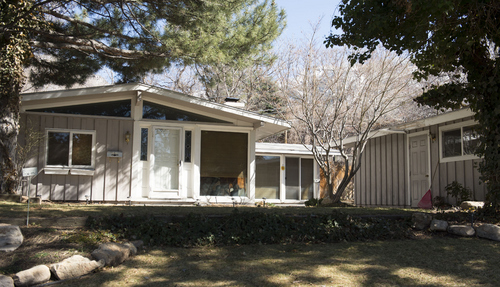 The county is re-establishing a Historic Preservation Commission for the unincorporated areas, and one of its first projects is to get a lower Olympus Cove neighborhood onto the Historic Register because it was designed by Cliff May, the "father of the California ranch house" that provided affordable housing in the post-World War II era. Keith Johnson | The Salt Lake Tribune The exterior of a Cliff May-designed home in Salt Lake County, March 12, 2014. The county is re-establishing a Historic Preservation Commission for the unincorporated areas, and one of its first projects is to get a lower Olympus Cove neighborhood onto the Historic Register because it was designed by Cliff May, the "father of the California ranch house" that provided affordable housing in the post-World War II era. Keith Johnson | The Salt Lake Tribune The dining area, with a view down the open hallway of the Cliff May-designed home of Stephen and Jo Smith in Salt Lake County, March 12, 2014. 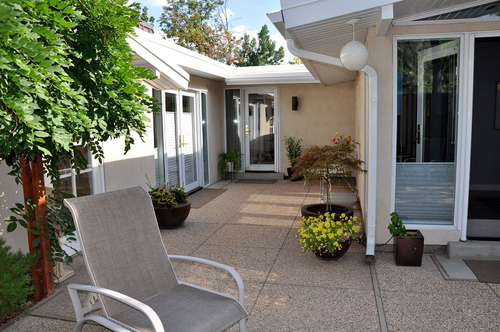 Characteristics of Cliff May homes are the open design and the inside space in relation to the outside courtyards and patios. The county is re-establishing a Historic Preservation Commission for the unincorporated areas, and one of its first projects is to get a lower Olympus Cove neighborhood onto the Historic Register because it was designed by Cliff May, the "father of the California ranch house" that provided affordable housing in the post-World War II era. 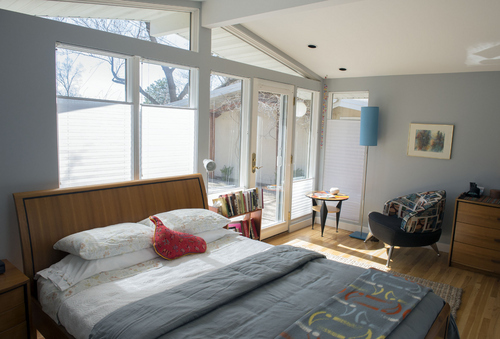 Keith Johnson | The Salt Lake Tribune A bedroom which opens into one of the courtyards, of the Cliff May-designed home of Stephen and Jo Smith in Salt Lake County, March 12, 2014. The county is re-establishing a Historic Preservation Commission for the unincorporated areas, and one of its first projects is to get a lower Olympus Cove neighborhood onto the Historic Register because it was designed by Cliff May, the "father of the California ranch house" that provided affordable housing in the post-World War II era. Keith Johnson | The Salt Lake Tribune The front room, with views of a game room to the left and the dining area to the right, of the Cliff May-designed home of Stephen and Jo Smith in Salt Lake County, March 12, 2014. The county is re-establishing a Historic Preservation Commission for the unincorporated areas, and one of its first projects is to get a lower Olympus Cove neighborhood onto the Historic Register because it was designed by Cliff May, the "father of the California ranch house" that provided affordable housing in the post-World War II era. Not all of Salt Lake County&apos;s historic buildings have ties to pioneer settlement. A subdivision in lower Olympus Cove is seeking a spot on the National Register of Historic Places because 14 of its homes were designed by Cliff May, considered the "father of the California ranch house," a "dream home" affordable to the masses in the post-World War II housing boom. The neighborhood&apos;s eligibility went up a notch last week when the Salt Lake County Council re-established a historic preservation ordinance for unincorporated areas. The program fell by the wayside when the county changed from a commission to a council form of government in 2001, but it&apos;s back now, with the first six members of a reinstituted Historic Preservation Commission receiving council approval Tuesday. "The unincorporated areas are part of that post-war boom period," said Kirk Huffaker, executive director of the Utah Heritage Foundation, a statewide historic-preservation group. "It&apos;s great for the county to re-establish its program and jump right into taking steps toward recognizing these postwar neighborhoods as important to the country and the people of Utah." 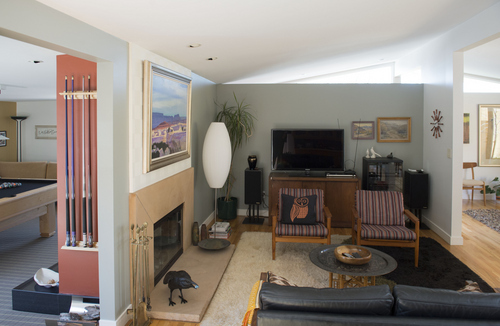 Cliff May began designing homes in Los Angeles and San Diego in the early 1930s. His buildings featured open interiors and plenty of windows, ideal for letting sunshine fill the dwelling and limiting the distinction between inside and outside. Stairs were rare, even going outside. Roofs were low-slung. For several decades, May designed more than 1,000 custom homes for movie stars and wealthy clients. He also drew up the plans for Robert Mondavi&apos;s California winery. But his portfolio also included more than 18,000 tract homes. While considerably smaller than May&apos;s custom villas, they maintained his devotion to airiness and openness. 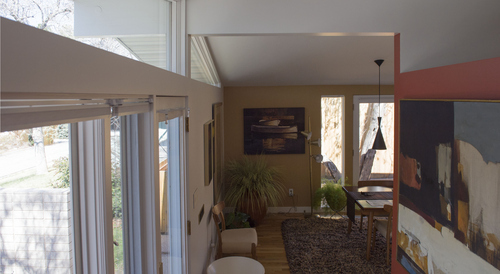 In addition, May and business partner Chris Choate kept down costs by pre-fabricating house sections and windows so they could be assembled easily. 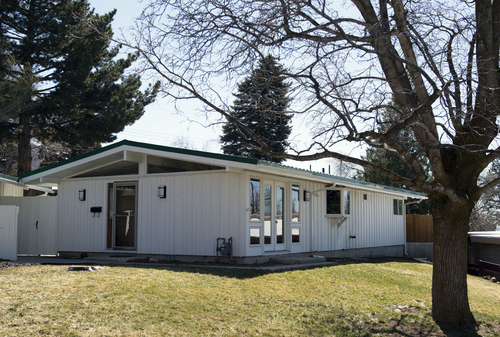 Olympus Cove was early in its development when May teamed up in 1954 or 1955 with a local builder on 14 homes directly east of Wasatch Boulevard, just north of what is now Churchill Junior High School. The homes have no basements. They were relatively small  about 1,500 square feet. For the most part, garages were separated from the main L-shaped buildings, creating internal courtyards. Missy Cannell and her late husband bought their home on Oakview Drive in 1964, knowing nothing about Cliff May. "I loved the feel," said Cannell, owner of Cannella&apos;s restaurant in Salt Lake City. "I loved the windows and the indoor/outdoor thing. 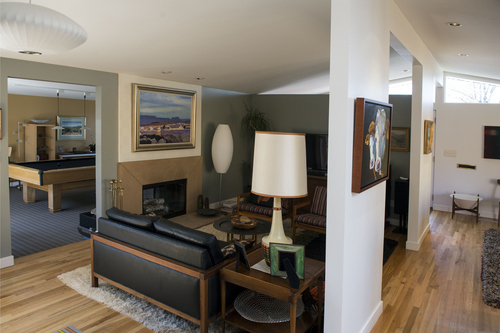 It felt so modern, compared to the bungalow I grew up in in Sugar House." Similarly, Stephen and Jo Smith weren&apos;t aware that May had designed their Sunsetview Drive home when they bought it in 2009. "But I liked it for all the reasons he designed it like that," said Stephen, an architect who now speaks authoritatively about May based on extensive research. "There&apos;s a door to the outside from every room in the house. It really feels like the outside is part of the house," Jo noted, her husband interjecting, "no matter where I am in the house, I can see the outdoor patios. As I move around, I&apos;m constantly aware of that." Several subdivision homes have been remodeled so much during the past 60 years that they scarcely resemble their origins. But most still bear telltale signs of May&apos;s hand. Cannell and the Smiths are quite pleased, in fact, that a growing neighborhood understanding of the subdivision&apos;s architectural roots apparently influenced one homeowner remodeling a Cliff May home to expand upon the initial design. The reintroduction of the unincorporated county&apos;s historic-preservation ordinance could make remodeling jobs like that eligible for tax benefits or grant money, provided certain construction and architectural standards are met, said Patrick Leary, county townships executive director. There is definitely added value in owning a Cliff May property, said Stephen Meade, a Southern California real-estate broker who runs the Cliff May Registry. "People often come to me because they think the houses look cool," he said. "But the real benefit is when you move in. It has a positive effect on lifestyle. You spend a lot more time outside and invite people in more often. It&apos;s remarkable how many people you can have over for a party and be comfortable with  in that size of house." The Smiths and Cannell can attest to that. They were planning a party last summer to celebrate being part of a Cliff May subdivision when, lo and behold, whom did they run into as she checked out his homes in the neighborhood  Cliff May&apos;s daughter, Hillary May Jessup. So Jessup and her daughter Jennifer, a Park City resident, attended the bash that gave rise to a new neighborhood nickname: "Cliffdwellers in the Mayborhood."